The Maytag Company offers high-efficiency heat pumps ranging from 13 SEER 7.7HSPF to 22 SEER 10 HSPF. There are also few selected Maytag heat pumps that offer R-410A refrigerant. Maytag offers its customers a wide range of HVAC equipment with very friendly warranties. Their heat pumps come with iQ Drive® capacity that modulates the system from a 40 percent rating to 118 percent rating depending on demand. The Maytag heat pumps are widely known to be very efficient, but homeowners are advised to get a proper contractor to do the installation. They have very excellent and unique features that require a contractor with proper skills on heat pump installation. The iQ Drive Controllers will offer you several home comfort features. The Intelligent thermostat features allow the units to be programmable. The iQ Drive is a unique feature that enables you to know when the unit is damaged or when maintenance is needed. The Thermostat coordinates your heat pump with the air handle helping to achieve maximum efficiency. iQ drive units require capacity modulation if they are to work efficiently. These units have a modulated rotatory compressor programmed to run in almost every climate. The units use an inverter driven rotatory compressor to modulate between capacities of 40% to 118%. These modulations make it possible for the heat pumps to manage its cooling and heating in your home with ease. The iQ Drive heat pumps all come with very low sound levels a feature that makes them a good choice for many homes. The units have very low rpm that enables them to produce very little sound. The low sound levels are made possible with an additional insulated cabinet and compressor blanket. Even the motor is permanently lubricated and does not produce any loud sounds. Most of these Maytag heat pumps operate at sound levels of 59 dBs downwards. 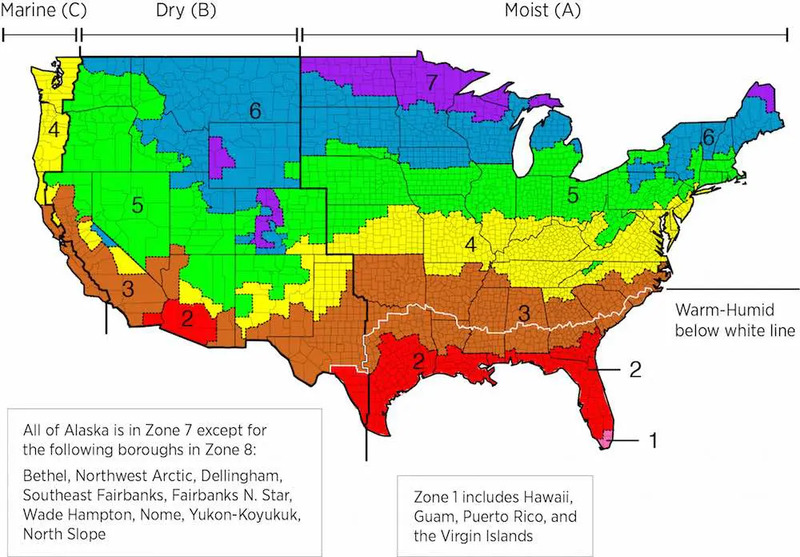 Note: In Zones 6 and 7, the coldest zones, a system with an efficient gas furnace and a small central air conditioner is also a good option. The Maytag heat pumps are Nordyne Units. Nordyne is well known to make units like Tappan, Westinghouse and Frigidaire. These are all similar but Maytag is known to use the galvanized stainless steel. The stainless steel is a good selling point as it makes the unit very durable. Maytag heat pumps can resist corrosion and rust in almost all types of weathers. We have installed many Maytag heat pumps without any major complains. We have had very few issues with only two heat pumps recalled in the whole of last year. The two had small issues with their motors which were easily covered by the warranty. Maytag is curently one of the modern manufacturing companies you can find in USA. When making a purchase of the heat pump, it is highly recommended that you look at the quality of the company and not just the brand or unit. The choice when choosing a heat pump comes down to the consumer. Any heat pump will almost handle all your heating and cooling needs. It all comes down to the climate conditions that a heat pump can handle. Maytag heat pumps are built with very strong and reliable materials. All parts undergo approximately 144 inspections before the pumps are released to the market. Each Unit includes: Maytag 15 SEER 3-ton outdoor condenser, 1300-1400 cfm air handler, programmable heat pump thermostat. I purchased this heat pump about three years ago for my old folks, and they are yet to experience any problems with the pump. During summer, the house is evenly cooled as well as being equally warmed during the winter season. We all know the 1200 series is quite expensive but according to my experience, the quality is worth its high price. Many expensive products tend to be of high quality and last longer. I would buy this product again and also I would, without a doubt, recommend it to anyone. My parents and my friends have often used the Maytag products which made me try them, and I hope that I will not be disappointed! Awful experience, I will never buy it again. Twice parts replacement in 2 years and we shouldn’t replace the old Goodman unit. I bought this heat pump about a year ago. The heat pump was simple to install as the instructions were straightforward. Additionally, as seen in advertisements, it is extremely quiet. My prior heat pumps have all worked well, but most of them have been too noisy and disturbing. This unit also came with a remote, which offers convenience. The Humidifier and Air Purifier are an excellent bonus. However, this unit is highly priced but given the high performance; I cannot complain because I know that you get what you pay for. I have not replaced it or repaired my heat pump since I bought it a year ago. If I ever buy again, I will buy this unit, or recommend it to people. I have owned this heat pump for just a few months now. It was very simple to install, and as I was told before by the contractor, it is silent. Concerning the price, it was expensive, but I do not believe there are better heat pumps which are cheaper. I will have to recommend this to my best friend. How to Get the Best Maytag Heat Pump Prices? When you quote the 4 ton, 2201-2600 sf, $2,550, is that just the compressor or does it also include a new air handler? You did not mention variable speed blowers — do you think they are a good option for high end AC units? Absolutely. We recommend variable speed blowers for high-end AC units If you really need high-end units.